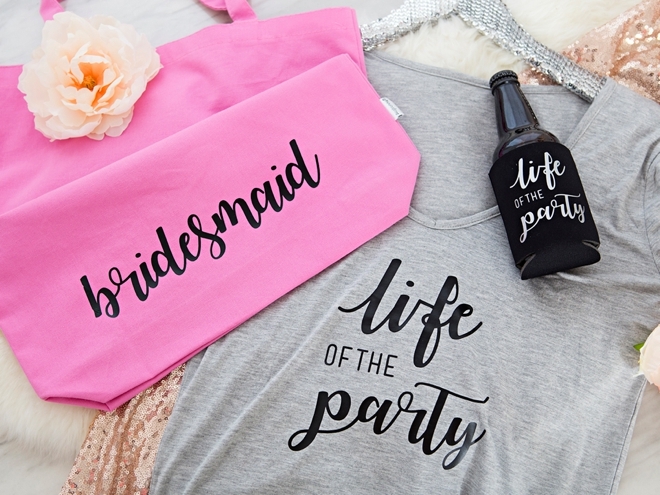 Learn How To Easily And Quickly Personalize Bachelorette Party Swag! 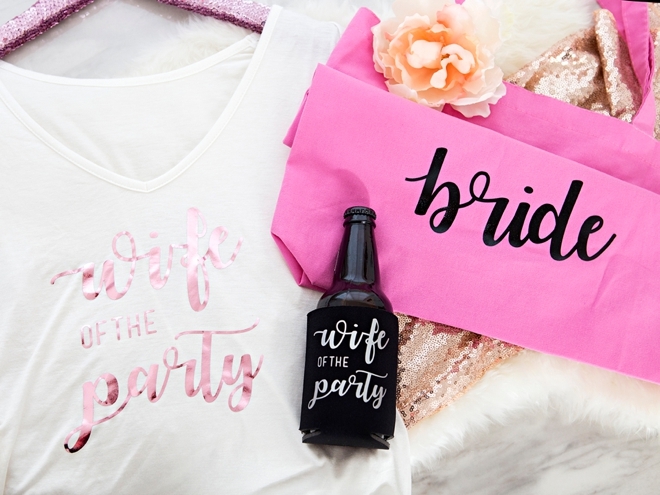 If there was ever a reason to be ultra-extra and personalize all the things when it comes to your wedding, it’s for your bachelorette party. Am I right? 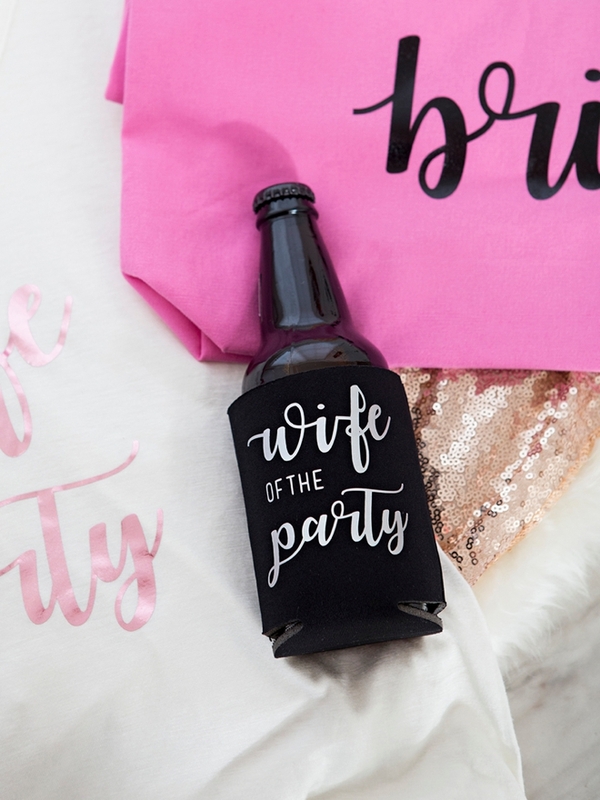 Girls gotta tell the world that they’re out celebrating something special and that’s a big part of the fun. 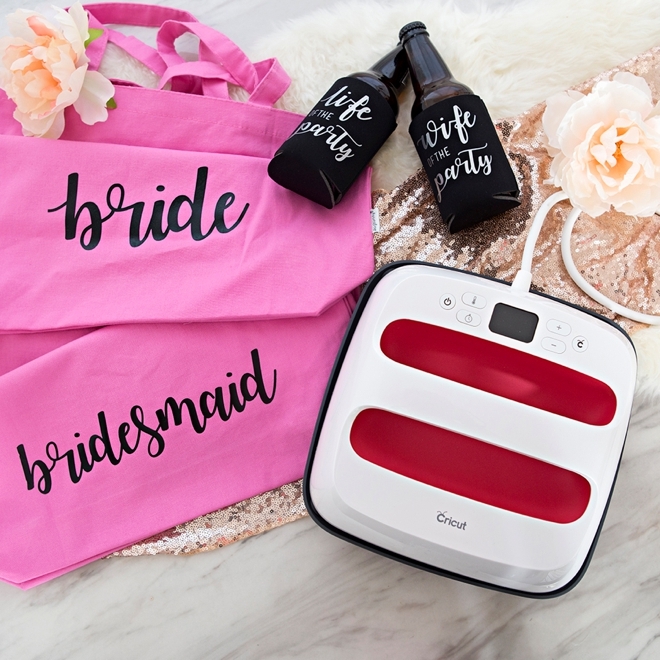 So put your Cricut to work and whip up some fabulous bachelorette swag in literally no time at all! 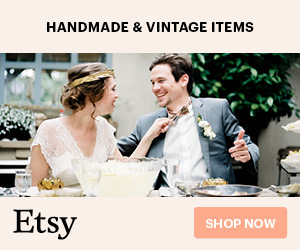 The EasyPress 2 Is Here! 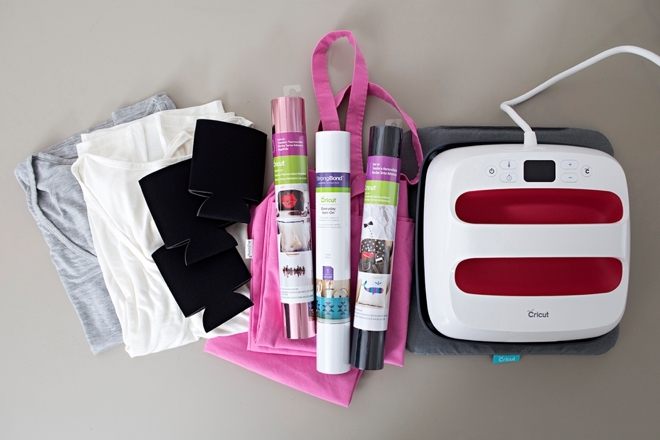 With the speed of a heat press and the convenience of an iron, the Cricut EasyPress has been a must for all your Cricut iron-on projects since it’s debut a little over a year ago. But they had to go and make it better! 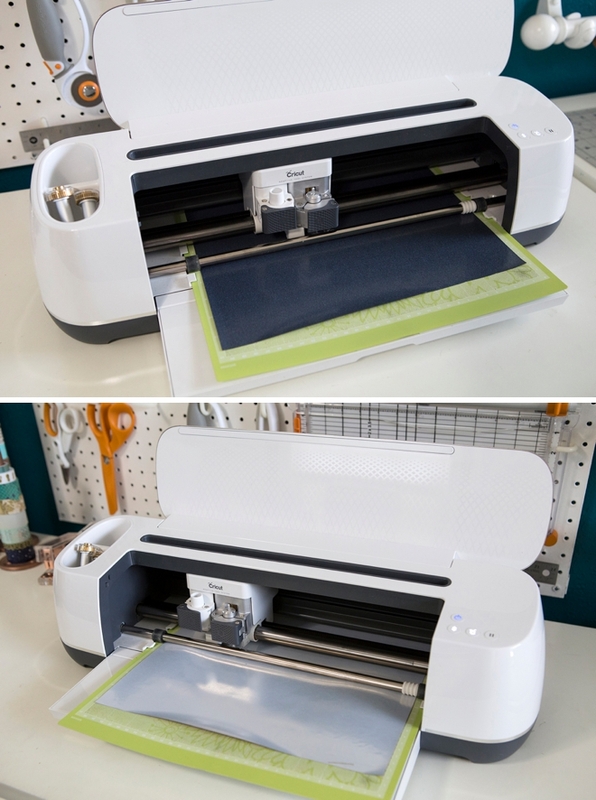 The Cricut EasyPress 2 now comes in three sizes, 6×7, 9×9, and 12×10, to suit every possible project. 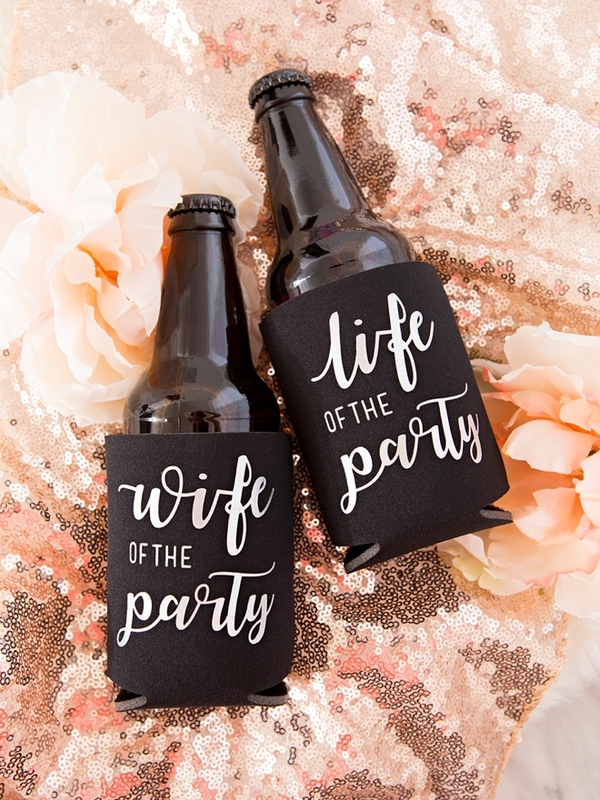 They also have the mats to match. OMG, I cannot wait to get the smallest one! 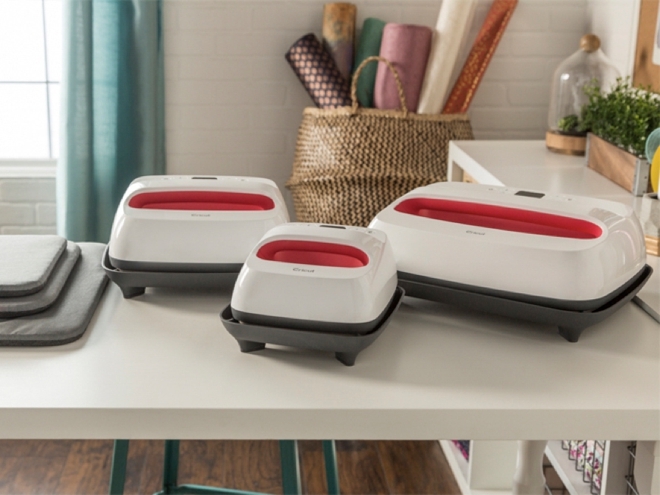 It has a ceramic-coated heat plate which produces dry, even heat for flawless transfers. The precise temperature and time controls are my favorite aspect and I’ll get into later in the post. 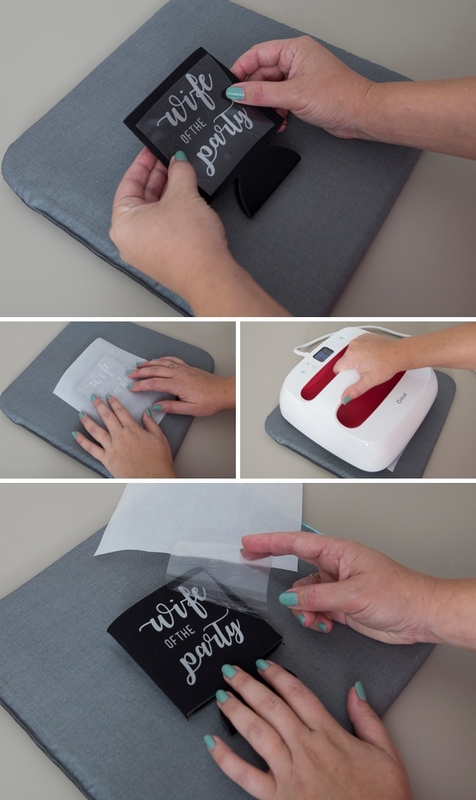 Using the EasyPress 2 takes all the guesswork out of iron-on projects and will give you a unique confidence in them because the bond it makes will actually last. 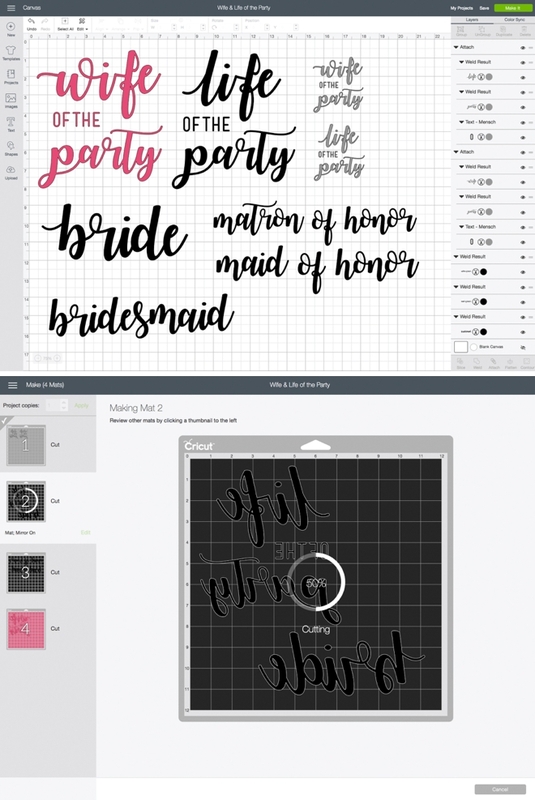 Cricut EasyPress 2, available soon! 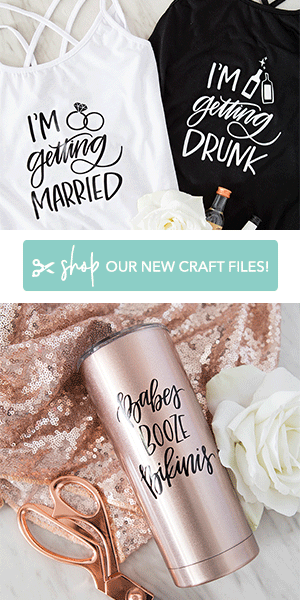 Shirts, Tote Bag, Beer Koozies, etc..
Open up a new canvas in Design Space, use your favorite fonts, upload custom files, design something yourself… the sky is the limit. You can also follow this link to be taken to my canvas to use these exact designs I created. 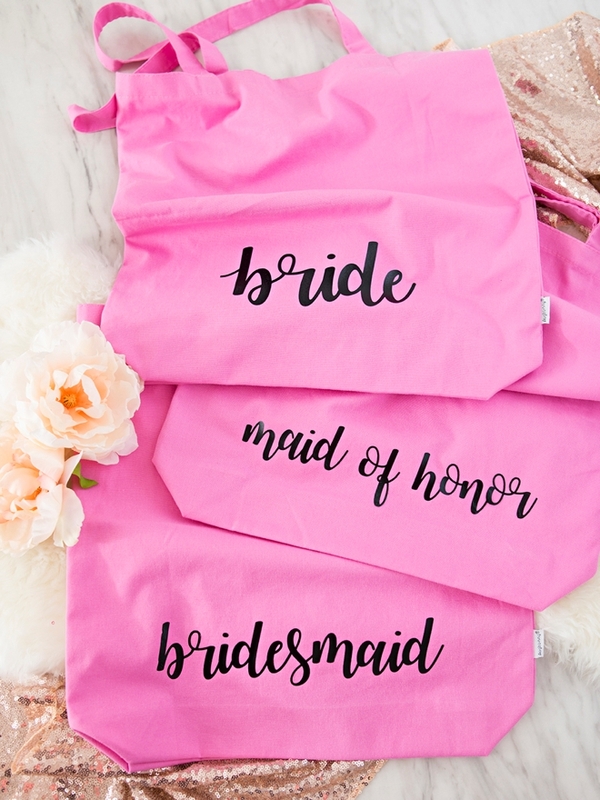 I used Watermelon Script and Mensch for the fonts. 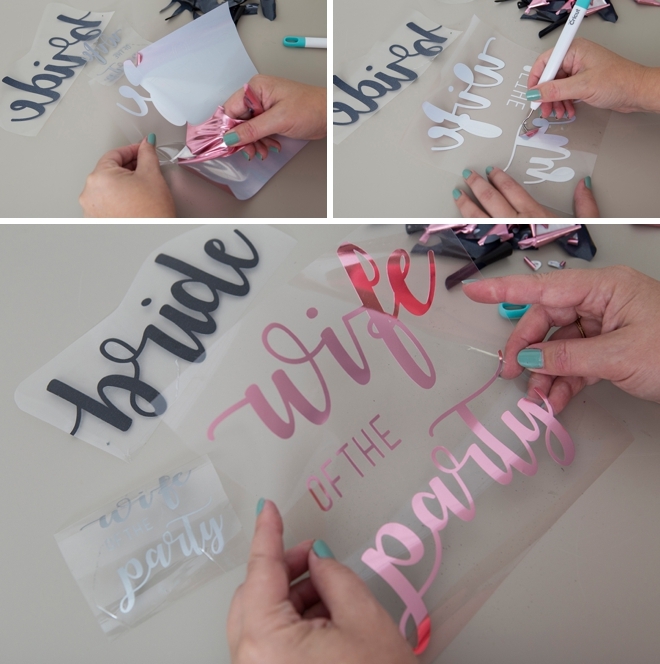 Don’t forget for iron-on designs the backside of the iron-on should be face up and you’ll need to check the “mirror-image” button on the cut screen canvas before cutting, otherwise your iron-on will be backwards! 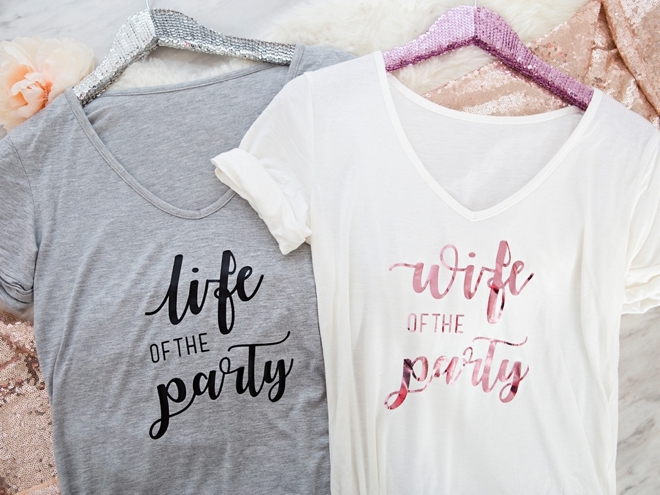 One of my favorite aspects of using the EasyPress is that Cricut has already created a spreadsheet of heat times and heat temperatures for all fabrics and types of iron-on. So if you’re using iron-on foil on a cotton shirt, there is an exact setting for that. No guess work. If your using iron-on light on canvas, there is a setting for that. 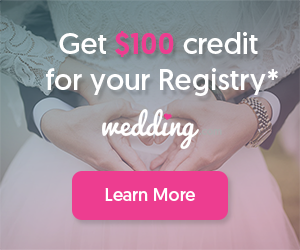 Follow this link to find the chart, I printed it out to have it on hand, then simply plug the correct temperature and time per your project into your Easy Press and press away! – Post-heat back (leave liner on): 15 sec. 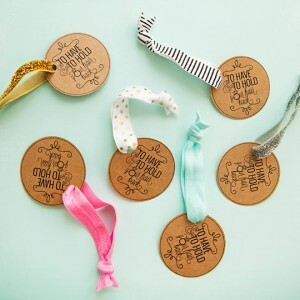 DIY | Bachelorette Party Hair Tie Favors + Giveaway!